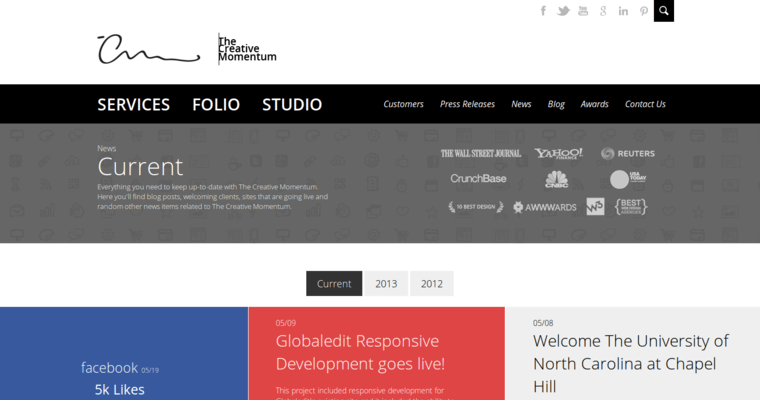 The Creative Momentum is a passionate, purposeful web design firm that specializes in designing personalized platforms through which its clients can build their brand in the online sector. 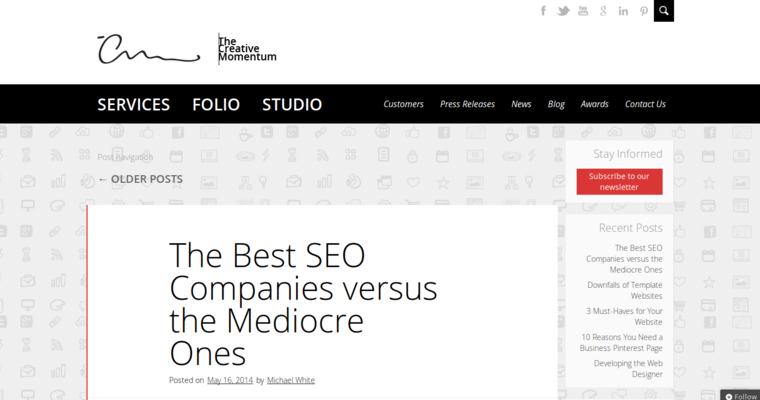 To ensure that clients attain the maximum return on investment (ROI) possible, the professionals of The Creative Momentum will implement a plethora of proven brand-building strategies: SEO, web design, mobile optimization, and online reputation management, to name a few. 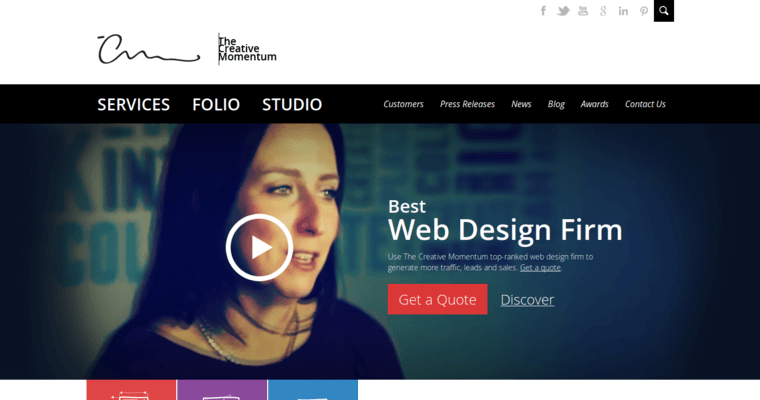 Here at The Creative Momentum, we know that adopting a customer-oriented methodology is the key to success in the internet marketing world. For this reason, we make a point to get to know our clients and thereby gain a better understanding of their brand and business objectives. Once we've accomplished this foundational step in the web design process, we'll be ready to design and execute a personalized strategic plan that will help the client's brand gain increasing visibility and steadily rising conversion rates.